What if Carole Lombard had lived? Would stardom have continued through the war, and beyond? Her generation of leading ladies, including those who started out at Paramount with her --- Marlene Dietrich, Claudette Colbert, Mae West --- would all experience a post-war slump. These actresses were older than Lombard, but you wonder how she might have dealt with the kind of changes that were coming at the time of her death in January 1942. Those RKO dramas she’d made during those final years were, for the most part, losers at the boxoffice. Vigil In The Night showed a deficit of $327,000, and They Knew What They Wanted came up with $291,000 in red ink. Even the comedies were beginning to pall --- Mr. and Mrs. Smith took a modest $75,000 in profits, which in comparison with RKO hits of the same year, Kitty Foyle ($869,000) and My Favorite Wife ($505,00), did not bode well. In fact, her one Warners comedy, Fools For Scandal (1938), handed that company its biggest single loss for the entire decade ($688,000). It’s possible a decline was already starting to set in, and yet To Be Or Not To Be was successful, despite the controversy over its content, and the fact it was released very soon after Lombard’s death. We figure she would have continued in comedies, much as Claudette Colbert did, though by the late forties, Colbert was finished with those (if not they with her), and we really can't see Carole doing film noir. Would she have eventually teamed with Gable again? That might have been interesting, but considering the sort of work he was getting at Metro by that time, you couldn’t be too optimistic over that prospect. A big wartime drama, along the lines of Since You Went Away or So Proudly We Hail, might have worked for her, as they certainly did for Colbert. The more we think about it, the more it seems that Claudette Colbert did indeed have the career that Carole Lombard might have enjoyed, had she’d lived. It’s sort of like James Dean and Paul Newman. The latter ended up getting pictures that had been set up for the former (Somebody Up There Likes Me, The Left-Handed Gun), and wound up giving us a rough idea of how Dean’s career might have played out, but for the accident. It’s a theory anyway. 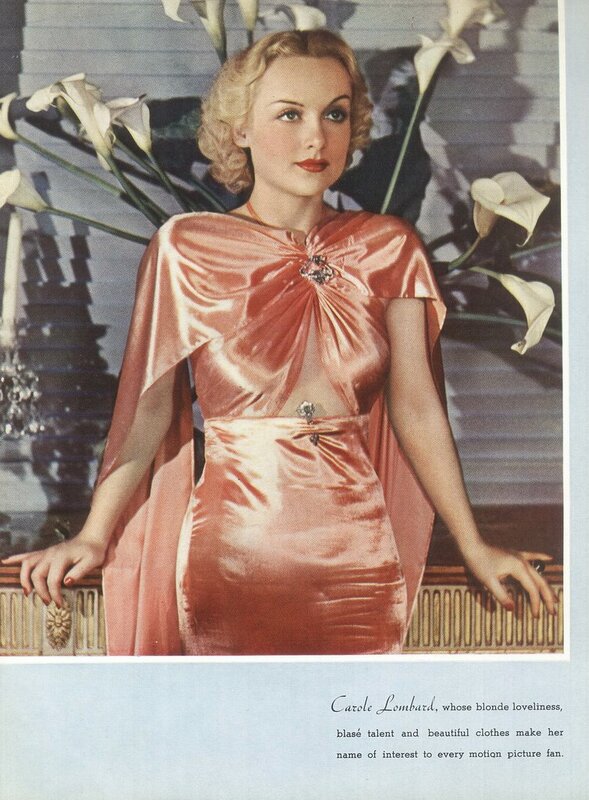 Maybe someone out there can suggest another actress whose career parallels the one Lombard missed. Here’s a little collecting aside, from my misspent days gathering 16mm. It seems that one of the auction houses, about ten or so years ago, conducted a sale of Clark Gable’s personal film library, which included 16mm prints of many, but not all, of the features he’d made for Metro prior to 1941. Now, in those days, stars had a very difficult time persuading their employers to part with prints of their movies. In fact, it was very much frowned upon, the idea being that the films could fall into the wrong hands and somehow be commercially exploited without compensation to the producer. When that auction was announced, I was determined to lay hands on some of those Gable rarities, not only because they were from his personal archive, but because the prints would more than likely be gorgeous originals, straight from the camera negative. Well, I ended up with some of them, and they were stunning. So sharp they looked like woodcuts. A collector friend sent along an old Daily Variety clipping which explained the whole thing (Thanks, Dr. Thiede!). Seems Carole approached MGM in 1941 with the idea of making a present to husband Clark Gable of his movies. It didn’t specifically say so, but I'm betting it was a Christmas, 1941 gift. The whole thing added up when I checked the edge codes on the films (that’s a laboratory marking that shows what year they were printed) --- all were 1941. It was quite a thrill watching the very same copy of Dancing Lady and A Free Soul that Gable, and possibly Carole, had looked at so many years ago, but a little sobering to realize that she would only live a short time after the gift was bestowed. I wish I had something insightful to add, but I don't. 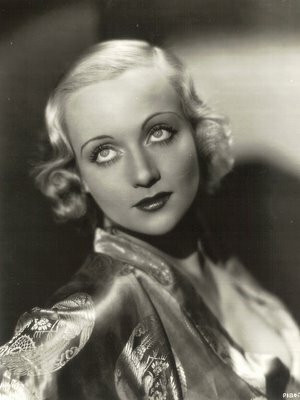 You should tell the story narrated by Garson Kanin in "Hollywod", that he used to go to a brothel where they had star look-alike whores...When he told Carole Lombard that there was a whore that pretended to be her, she wanted to meet the lady to give her pointers...Great gal!!! !